Dermalogica Overnight Repair Serum will maximise night time skin repair to help minimise fine lines and increase luminosity. Smooth this serum into the skin or blend with your night time treatment cream for dramatic age-fighting benefits: our supercharged peptide serum helps stimulate collagen production to help firm and renew resilience while potent Argan and Rose oils revitalise lacklustre skin and smooth away fine lines. Synchronises with night time circadian rhythms to enhance skin nourishment, recovery, cell renewal and hydration levels. Serum function delivers a quicker, more effective penetration of actives to address skin care issues. Argan Oil: Derived from the Argania Spinosa fruit, Argan Oil rapidly penetrates skin without leaving a greasy feel. It is an excellent source of antioxidants and flavonoids that inhibit MMP enzymes from degrading collagen and elastin. Provides an enriched source of fatty acids, plant sterols, Vitamin E and Ferulic Acid to protect skin while reinforcing barrier lipid layer. Rosa Moschata Seed Oil (Rosehip Seed Oil) and Rose Oil: Antioxidant rich oils from the Rose Hip and flower provide an excellent source of Vitamin C and essential fatty acids to reinforce the barrier lipid layer, while protecting skin and enhancing luminosity. Contains Retinoic Acid, the active form of Vitamin A, that improves appearance of aging skin. Palmitoyl tripeptide-38: A designer peptide, comprised of the amino acids Lysine and Methionine, that stimulates collagen and Hyaluronic Acid synthesis to strengthen the dermis and reduce the signs of skin aging. Stimulates both collagen I and collagen IV, two critical types of collagen for improving strength and reinforcing the critical dermal-epidermal-junction (DEJ) proteins. Carrot Seed Oil: A nourishing, antioxidant-rich oil that helps firm and rejuvenate skin while improving elasticity. Excellent for dry skin, eczema and dermatitis. Jasmine Oil: A highly fragrant essential oil with skin softening properties that helps condition dry, alipoid skin. A rich source of fragrant Jasmine esters provide a calming effect to the psyche while soothing distressed skin. Rosmarinus (Rosemary) Leaf Extract, Murraya (Curry) Leaf Oil, Cinnamomum Leaf Oil and Sesamum (Sesame) oils: Provide antimicrobial (preservative) properties to the serum. Apply Dermalogica Overnight Repair Serum at night after cleansing. Press 4 to 6 drops directly into skin, or mix with your prescribed Dermalogica Moisturiser then press into skin. 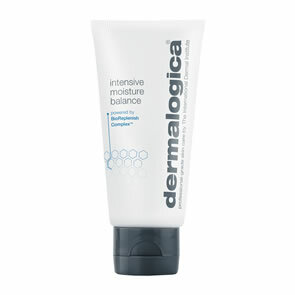 Lather Dermalogica Skin Resurfacing Cleanser in wet hands and apply to dampened face and throat, avoiding the eye area. Rinse thoroughly with warm water. Spritz Dermalogica Antioxidant HydraMist over face and neck with eyes closed. Dispense a small amount of Dermalogica MAP-15 Regenerator onto fingertip and blend into skin on areas where signs of aging are prominent, such as the eye and mouth areas, until product melts into the skin. Smooth and pat Dermalogica Age Reversal Eye Complex around the eye area. Follow with an application of 4-6 drops of Dermalogica Overnight Repair Serum, either applied directly to skin or mixed with the prescribed Dermalogica Moisturiser. 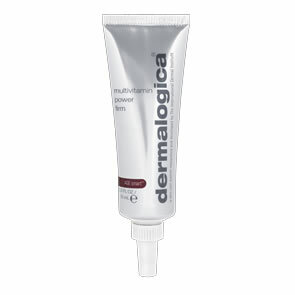 At night, apply Dermalogica Overnight Repair Serum after cleansing and let absorb for one minute. Follow with your application of Dermalogica Power Rich.